In order to gain muscle mass, you should take in about 15 calories per each pound of your body weight. 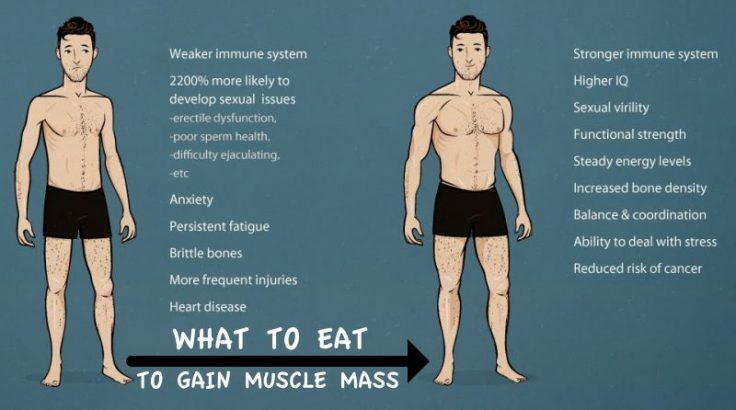 If you have 180 pounds, you should eat about 2700 calories per day to gain muscle mass. Of course, if you’re doing exercises daily and you’re burning about 500 calories through your fitness routine, you will add 500 calories to your daily calorie intake. So in this case, a 180-pound man should eat about 3200 calories per day to gain muscle mass. But if you want to gain muscle mass, you can’t just eat any kind of foods until you get those 2700 calories and then stop eating. You need to know what kind of foods are good for your body and for your muscle gain goal. You need to know how many carbs, proteins and fats you should eat in a day to get those 2700 calories in and to gain muscle mass. 2 grams of carbs per pound of body weight. If you weigh 180 pounds, you should have about 360 grams of carbs in your daily food intake. Between 1 and 1.5 grams of protein per pound of body weight. If you weigh 200 pounds, you should have about 180 – 270 grams of protein in your daily food intake. 0.4 grams of fat per pound of body weight. If you weigh 180 pounds, you should have about 72 grams of fat in your daily food intake. Here is a table you need to gain muscle mass, with all the math done for you. 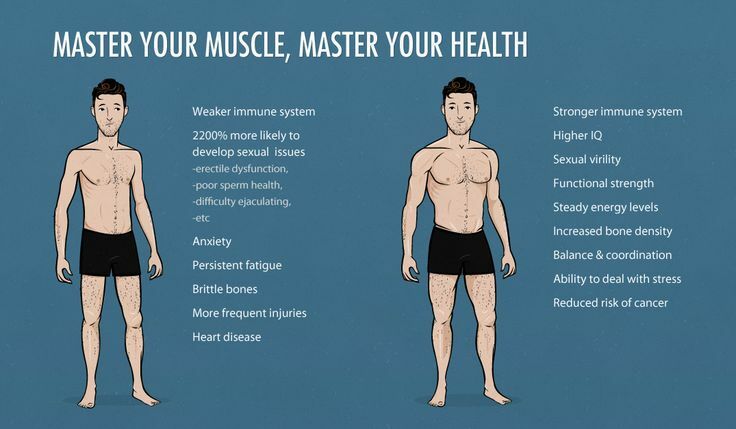 Now that you know how many calories you should eat in a day to gain muscle mass, all you have to do is to find a perfect workout for you and add some physical activity in your daily schedule. This will increase your daily calorie intake with 100-500 calories (13 fun and weird ways to burn 200 calories), depending on the intensity of the workout you’re performing.